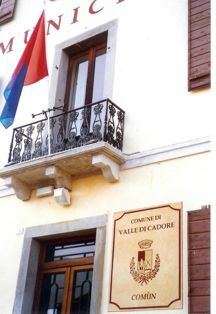 The flag of Valle di Cadore (Belluno Prov. Veneto) which as vertical red-blue is hoisted at the city hall. The Coat of Arms is also seen at the photo.